In the manufacturing world, doing all of the work by hand became obsolete a long time ago. To replace manual labor, machines and processes were designed to handle the bulk of the dirty work. The same evolution has taken place in the marketing world. 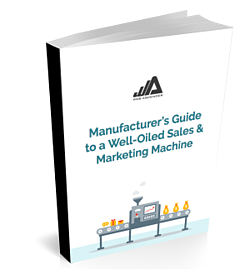 Inbound marketing and marketing automation help manufacturers build marketing machines to draw in and nurture your leads through the buying process. Fill out the form to access the guide instantly.